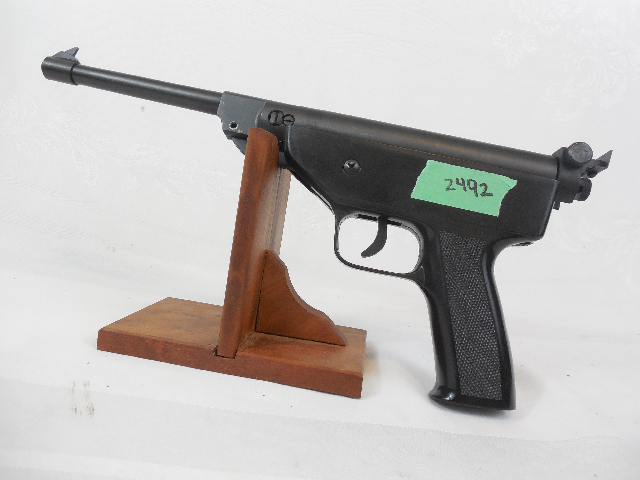 .177 caliber break barrel, spring piston air pistol. Un-marked, unknown make. 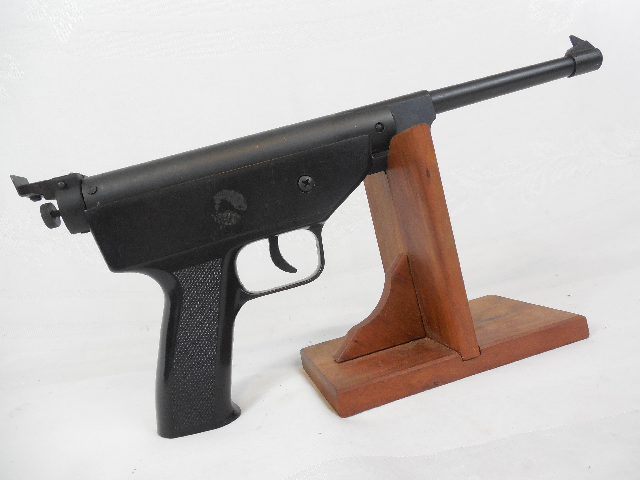 If anyone recognizes this airgun and provide any information please contact me and I will post the details. The gun is well made and has a micro adjustable rear sight. Nice finish. The velocity was not tested but the gun appears to shoot pretty hard.